Can children actually become responsible pet owners? 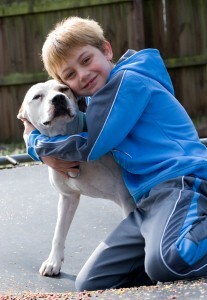 Home » Dad » Can children actually become responsible pet owners? Let's face it – your children have probably come to you begging for a new puppy or kitten at some point or another. You may even recall approaching your own parents when you were a little kid with a similar request. While you might be inclined to grant your children's wish, having a dog or cat is a big responsibility that requires some ground rules if you want your little ones to become responsible pet owners. Kids can waver between gung-ho and apathetic states in a moment's notice, so it's important to test the waters before you rush into anything. If you're looking to ease your little ones into their roles as animal caregivers, you might want to consider starting them off with something simple like a fish or hamster. While not as demanding as dogs or cats, these little creatures still require regular attention, feeding and cleaning – perfect for introducing these concepts to your children. Once you've decided that your little tikes are ready to begin caring for a larger animal, you can decide what kind of pet would be ideal for your family. You should also check to make sure your children don't have any allergies to pet dander before making a final decision. If they are, certain hypoallergenic breeds can help you sidestep this roadblock. Even the most responsible children will need some help from dad in the early days of pet ownership. As a result, you should initially provide guidance regarding duties like feeding, walking, bathing and training your dog or cat. Once your children become more familiar with these responsibilities, you can begin to phase out your assistance to encourage your children to become more independent. Remember, owning a pet is a lengthy commitment that should not be taken lightly. However, with the right love and care, you and your children will soon have a new member of the family to enjoy.